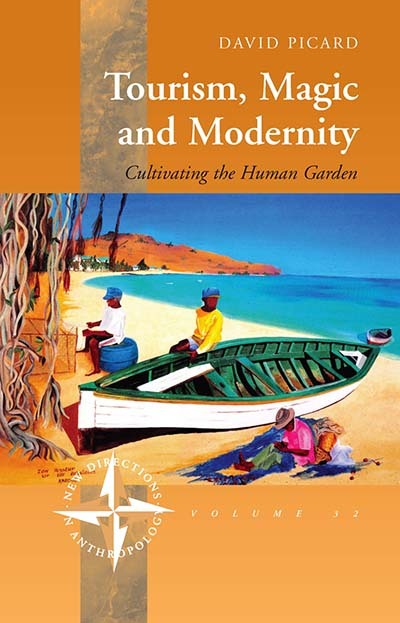 In David Picard’s Tourism, Magic and Modernity: Cultivating the Human Garden, the author uses analogy to shed light on life in La Réunion, a tropical tourist destination in the Indian Ocean. The volume, recently published in paperback, shows that, like plants in a garden, local life is pruned — using the shears of development and nature initiatives — to become a dazzling display for travelers to behold. Following, Picard once again embraces literary technique — on this occasion using a story of lovers — to enchant and delight the reader with the study of anthropology. Eve-Marie and Adamsky are 20 when they first meet. They are students at the university of La Réunion, in the Western Indian Ocean. They party together, discover life and love, and progressively turn into adults. They fall in love. As with most couples, through their relationship, the two meet different worlds and family histories, and have to grapple with these differences. Their love gets entangled with the aspirations of their respective milieus. Eve-Marie’s mother wants her daughter to succeed and leave behind the poverty and misfortune of the family. Adamsky, who is from Europe, searches for romantic absolutes —love, beauty, and purity. As in a classical novel, both eventually stand up and fight for their love and the life they envision for themselves. The ethnographic account is built on long term observations, interviews and factual investigations, in particular focusing on a series of challenges the two were confronted with: Eve-Marie’s escaping her mother’s house, their need to succeed at university, the appearance of malevolent spirits, and, as in most couples, the boredom that creeps in when love is absorbed by quotidian routine. The text reads like a great story. Eve-Marie and Adamsky are pseudonyms of real people that have been followed as part of a long term ethnographic investigation. Love and the complexity of its entanglements are without a doubt two of the most difficult topics to investigate. Love itself seems to encompass a wide range of phenomena. Much work that has recently appeared follows the lines of specific social logics of action; as if the subjective experience of social life by social actors was underpinned by specific functionalist rationales. Love, it was said, is good to generate sexual satisfaction, economic income, social and psychological security, identity, etc. Many works on love in anthropology focus on relations where social distance is very visual (in a very stereotypical way), for example, of people of different phenotypes stereotypically associated with different geographical locales. It is hence given the impression that the logic of love is in any way specific, or different from that of other people, such as those who look alike, or come from a same locale. The question here is how far anthropologists exoticise such so-called “mixed” couples (are not all couples mixed?) and the way in which their love unfolds. So how can one write about people like Adamsky and Eve-Marie, without falling into the traps of postcolonial rhetoric? What I have tried in this text is to follow the facts and let them speak for themselves (which of course is a rhetoric trick itself). Yet, what I tried to convey to the reader is a deep respect and empathy for the subjects of the study, and the decisions they made for their lives, which eventually left them both transformed. I am not here to condemn them, or judge them in any way, but to express a sense of their humanity, their conflicts and often-contradictory aspirations. I must have read Hemingway, the master of this style, while writing the text, and also the brilliant narrative introduction to Denise Brennan’s What’s Love Got To Do with It? What I tell my students is to do their ethnographic work, and to do it well. Yet in order to be able to talk to an audience and draw in a readership, I suggest they choose a character, or group of characters, through which to tell a story. Anthropology then does by no means become literature, as it is sometimes claimed, but it uses techniques of literature to communicate its insights. I’d call this rather didactic, and it is what I try to realize in my writing and teaching. David Picard is a Senior Research Fellow at the Centre for Research in Anthropology (CRIA) at New University of Lisbon, Portugal. He holds a PhD in anthropology from the University of La Reunion, Indian Ocean and has been a Visiting Scholar at the University of California, Berkeley.